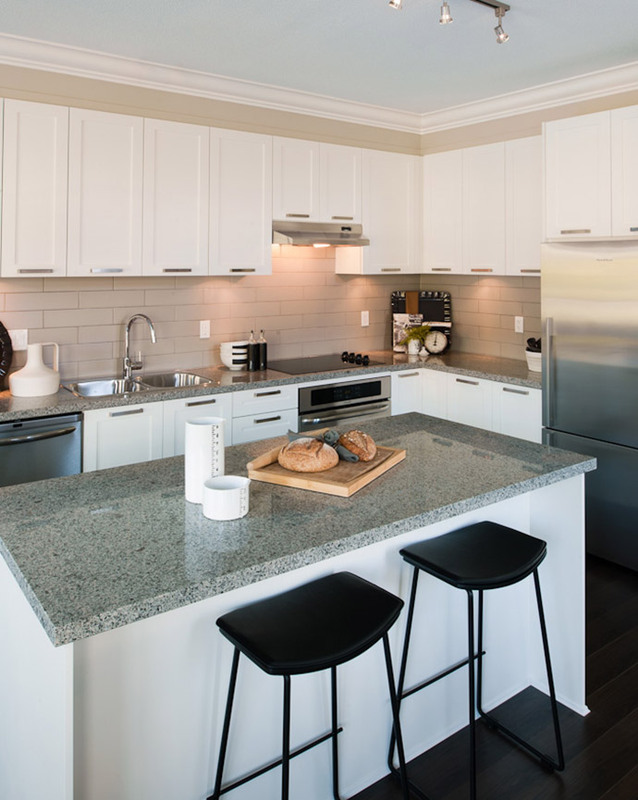 The Vancouver Condo Buzz » From Low $600s > Spectacular Lakeside at Sunstone North Delta Executive Townhomes for Sale with 3 or 4 Bedrooms! From Low $600s > Spectacular Lakeside at Sunstone North Delta Executive Townhomes for Sale with 3 or 4 Bedrooms! More information about this latest neighbourhood at Sunstone in North Delta is available on the Polygon web site at www.polyhomes.com. Polygon is one of the top and most trusted builders in the Greater Vancouver real estate market. The Lakeside Townhomes at Sunstone Delta will feature a new and prestigious enclave of executive style family townhouses along the prime lakeside location in the heart of this family friendly North Delta Sunstone master planned community by Polygon. 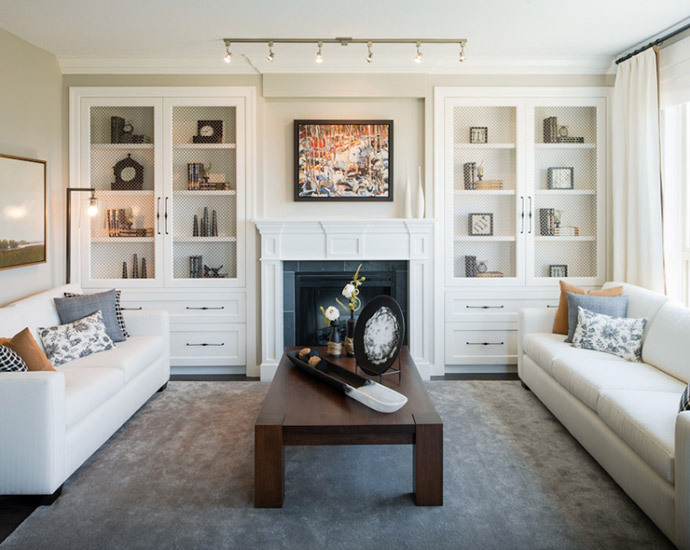 The North Delta Lakeside townhomes will feature residences with either three or four bedrooms, all with ample room to grow, lots of storage space and bright and airy living areas. 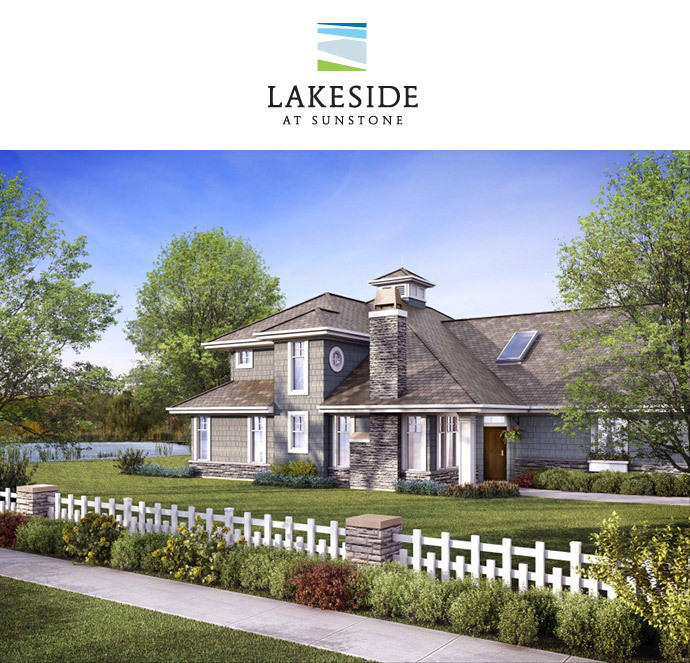 The Lakeside Delta townhomes will feature classic seaside architecture with dramatically pitched roof lines, stone and wood details, wood shingles and charming window boxes that is a true Polygon classic finish. Inside the new Lakeside at Sunstone Delta townhomes are modern interior designs with open concept/functional layouts. Some of the very cool ideas include master on the main floors as well as gourmet chef kitchens with stone counters, warm laminate wood floors and sleek stainless steel appliances. Most of the floor plans at the North Delta Lakeside townhomes for sale are more than 2,000 square feet, which makes for very spacious living and large floor plates. Outdoor entertaining is also made very easy with rear gardens or large private patios depending on the home that you choose. As usual, any Lakeside Delta townhome resident will have automatic membership into the Sunstone Club amenity space and clubhouse featuring over 12,000 square feet of resort style amenities. Again, please register your interest online at the Polygon Homes web site at www.polyhomes.com. Lakeside by Polygon is one of the most prestigious neighbourhoods featuring high-end executive Delta townhomes in a prime lakeside location. Situated in the heart of the master planned Polygon Sunstone community, Lakeside Delta townhomes will be opening for exclusive grand opening previews on Saturday July 6th. The fine collection of executive townhomes at Lakeside by Polygon will feature an impressive offering of both three and four bedroom floor plans. In addition, the Sunstone Lakeside Delta townhomes will showcase classic Seaside architecture. Some of the fabulous details and unique features of classic Seaside architecture include charming window boxes, wood shingles, wood detailing, great use of stone accents and dramatically pitched roofs. As well, the Lakeside at Sunstone Delta executive townhomes will have modern interiors that feature wide open concept layouts and living spaces of over 2,000 square feet. Some of the Lakeside floor plans will also incorporate master on main floor layouts, gourmet kitchens with stone counters, warm laminate floors and sleek stainless steel appliance set. As well, the Sunstone Delta Lakeside by Polygon townhomes will also have large private decks or rear gardens that will expand your living space outwards. Situated in the center of a family friendly and pedestrian friendly community, close to a great variety of biking and hiking trails, great shopping, golf courses and much more, Lakeside at Sunstone North Delta will give its residents a great blend of both urban amenities and quiet outdoor entertainment options. As well, there is convenient commuter access to Vancouver and the Fraser Valley. 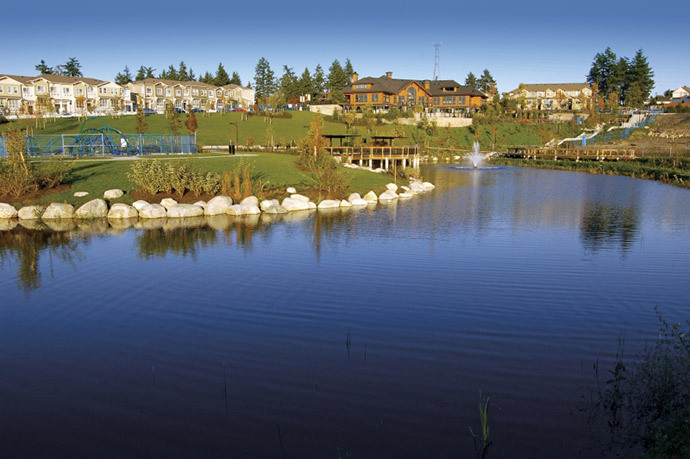 Residents at the North Delta Lakeside executive townhomes by Polygon will also have exclusive membership to the Sunstone Club, a 12,000 square foot clubhouse and amenity center. Featuring a fireside great room lounge, fully equipped fitness gym, billiards lounge, movie-screening room, indoor gym, furnished guest suites as well as a beautiful outdoor pool and spa, the Sunstone Club will be made available to each and every exclusive Sunstone Lakeside townhome owner and its residents. The long awaited Lakeside Sunstone Delta collection of executive townhomes by Polygon has arrived at last. Located at the heart of the master planned Sustone Delta real estate neighbourhood in the North Delta area, these spacious three and four bedroom residences feature more than 2,000 square feet of living space! Thoughtful homebuyers value the master on the main floor plans as highly as Lakeside at Sunstone’s picture perfect setting. The new Delta Lakeside Townhomes at Sunstone are priced affordably from the low $600,000s and offer more than two thousand square feet of interior living space plus outdoor living. Register now for more upcoming VIP opening details. With homes now available to purchase from the low $600’s, it’s a great time to visit and find out if Lakeside is the right fit for you. Our two stunning display homes showcase over 2,000 sq. ft. of living space in a wide-open plan layout with entertainment sized kitchens and fully integrated stainless steel appliances fit for a gourmet chef. Distinctive design details include warm laminate wood flooring on the main floor, polished stone countertops, and marble backsplashes matched with custom-designed cabinetry. For added convenience, large private decks or rear gardens invite outdoor entertaining and each home comes complete with a two-car side-by-side garage. Situated in the heart of a family friendly community, close at hand are an array of hiking and biking trails, good shopping, golf courses and convenient commuter access to Vancouver and beyond. And residents of Lakeside also enjoy membership to the exclusive 12,000 square-foot Sunstone Club which has truly become the heart and soul of the community.